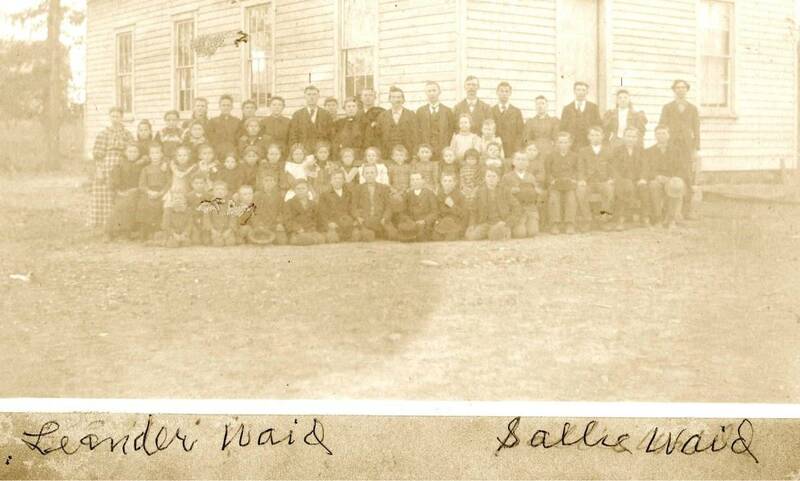 1896 Photo of Students at Lebanon, Blount County AL, school. Sarah Catherine Waid, wife of Lonnie Q Wiggins, indicated towards right. 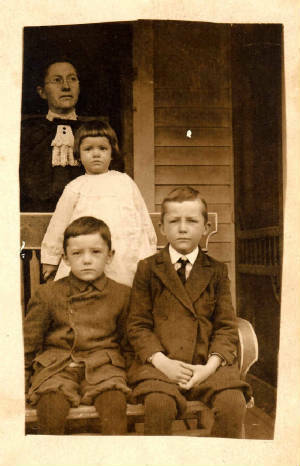 Harvey Leander Waid, Sarah's brother, indicated towards left. H L Waid became a doctor of repute in the area. 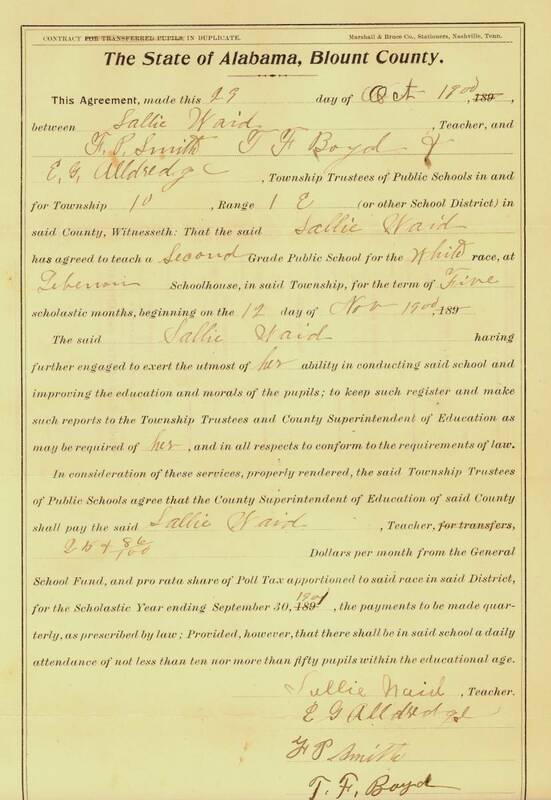 Sarah C Waid Teacher's Contract with Lebanon School, 1900. Wife of Lonnie Q Wiggins. 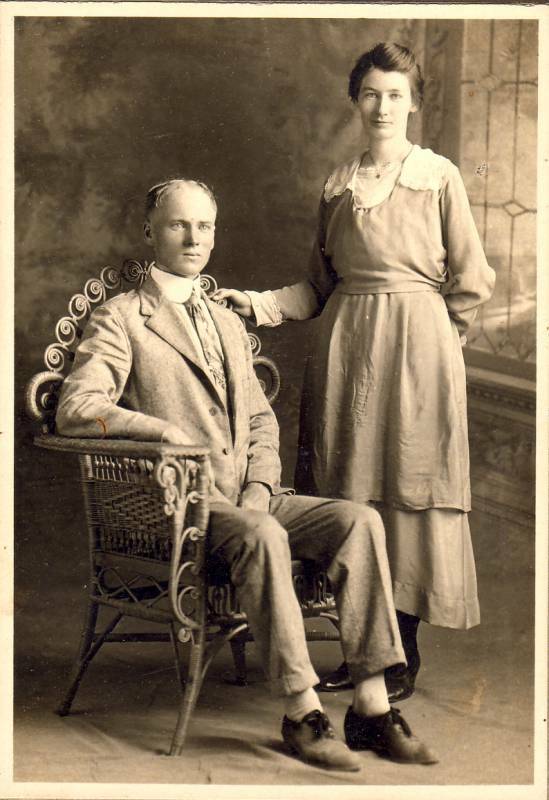 Ellis and Myrtle Wiggins 1918. Son of William Joel Wiggins. 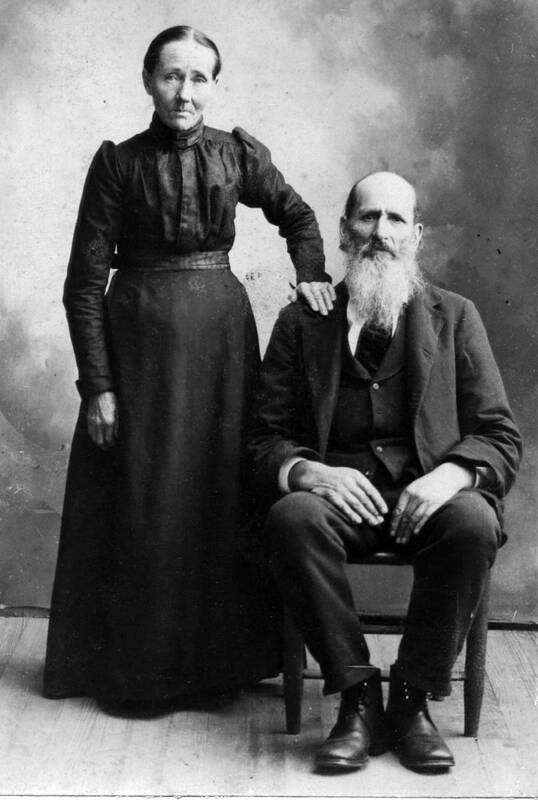 Ellis and Myrtle Wiggins in later years. Son of William Joel Wiggins. Noted by grand-daughter Donna Wiggins Collins: "Ellis and his wife Myrtle Stancil died on the same day, only minutes apart, in the hospital at Cullman. He had been ill for a long time and my Father had been taking care of him in Birmingham. When he became too ill, he was taken back to the hospital in Cullman. When he passed away, his wife, who had been saying all along she couldn't live without him, leaned over and kissed him goodbye and fell over dead herself." 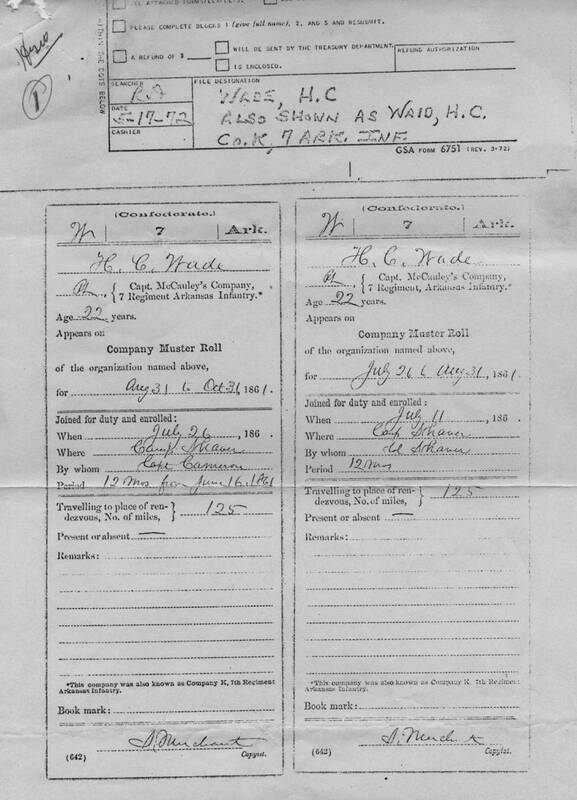 Harvey Cornelius Waid 7th Arkansas 1861 Muster Roll Record from National Archive. 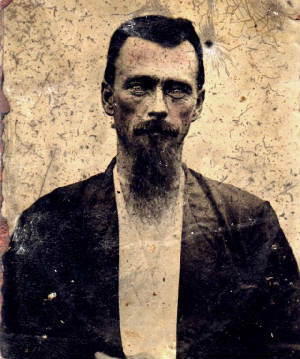 HCW was wounded at both the battles of Murfreesboro and Shilo. He was captured by Union Troops on June 19, 1864, and spent the remainder of the war in a prison camp. He told his grandaughter Sallie Waid, that they (the captured soldiers) would get so hungry they would chew on shoe leather. Both "Wade" and "Waid" spellings of surname noted. 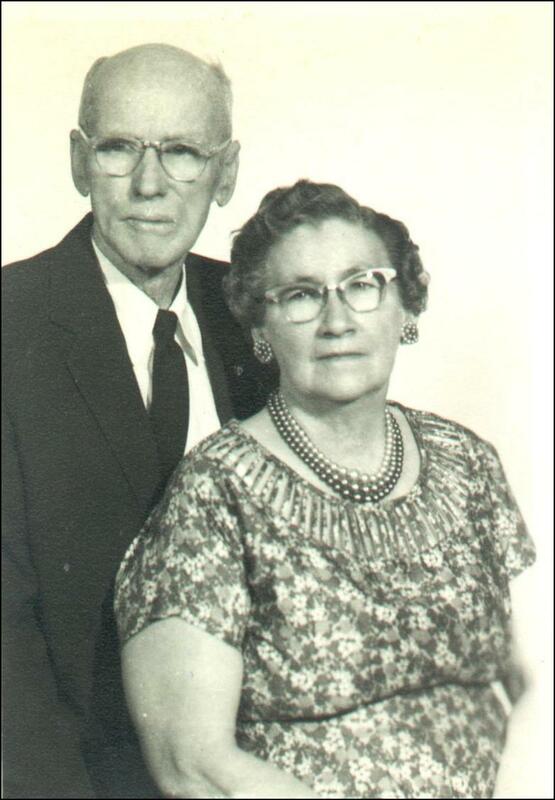 Harvey Cornelius Waid and Edith Catherine Cornelius Waid. Liberty, AL abt 1900. Parents of Sarah Catherine Waid Wiggins. The 6th and 7th Arkansas Infantry's Battle Flag. As a result of the significant loss of life by the 7th Arkansas Infantry at the Battle of Shilo, it was given the nickname of "The Bloody Seventh". Shortly there after, it was combined with the 6th Arkansas Infantry. 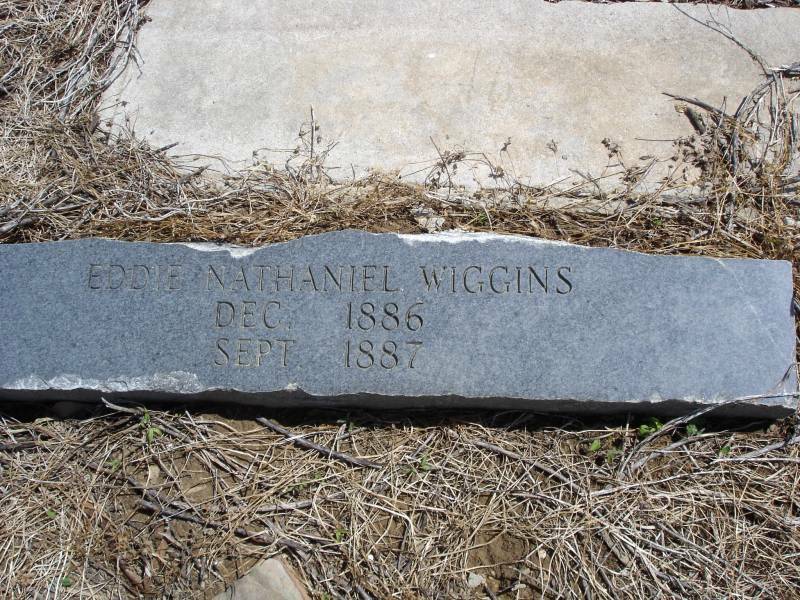 Tombstone of Eddie Nathaniel Wiggins, located in field at NW corner of CR 1728 and CR 1742, near Holly Pond, AL. Eddie Nathaniel Wiggins burial site, Cullman, AL. Fanny Whisenhunt Reid Haynes abt 1880. Mother of Edith Catherine Reid Waid, mother-in-law of Harvey Cornelius Waid. 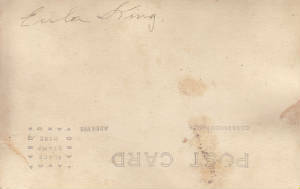 Harvey Cornelus Waid about 1870. From his obituary written by his son, Dr. Harvey Leander Waid: "Deceased had been a member of the Primitive Baptist church since 1866, and has ever lived the life of a noble upright man." 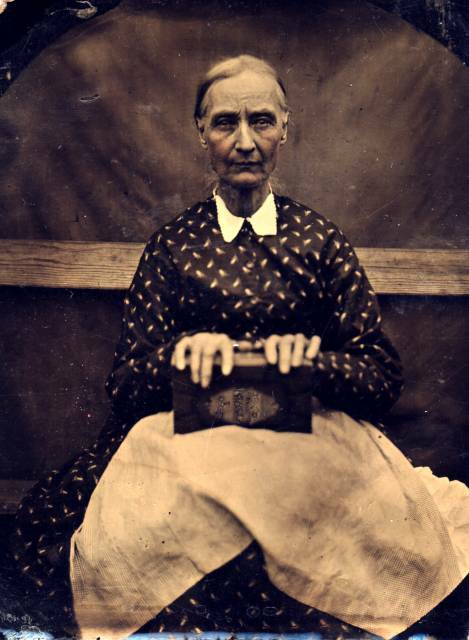 This picture was probably taken after the death of her husband Lonnie, who died o 12/2/1920. 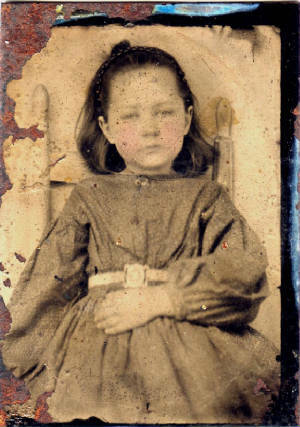 Amy Wiggins appears to be about two or three years old, and she was born 10/20/1909. 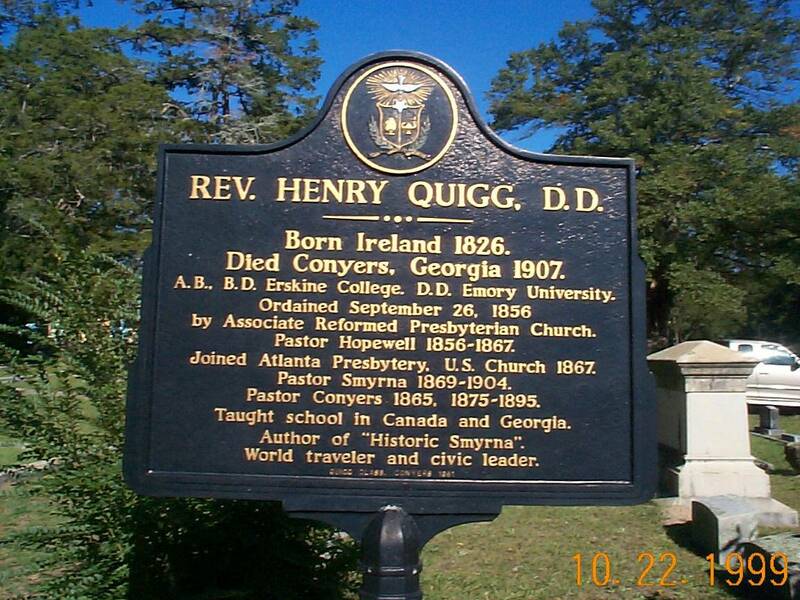 Namesake of Lonzo Quigg Wiggins, son of William Joel Wiggins. Photo by Dan Scott, family historian and descendent of Dora Wiggins Scott. 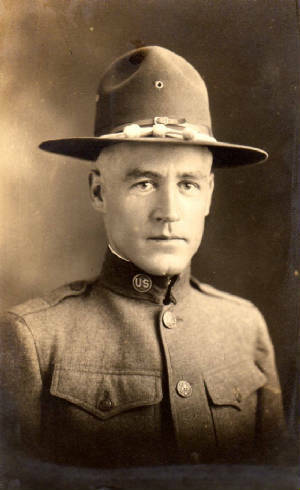 Fred Waid, Camp Travis, San Antonio, TX 1918. Son of Lankford Waid, Grandson of Elijah L Waid, and Great Grandson of Abraham Waid. 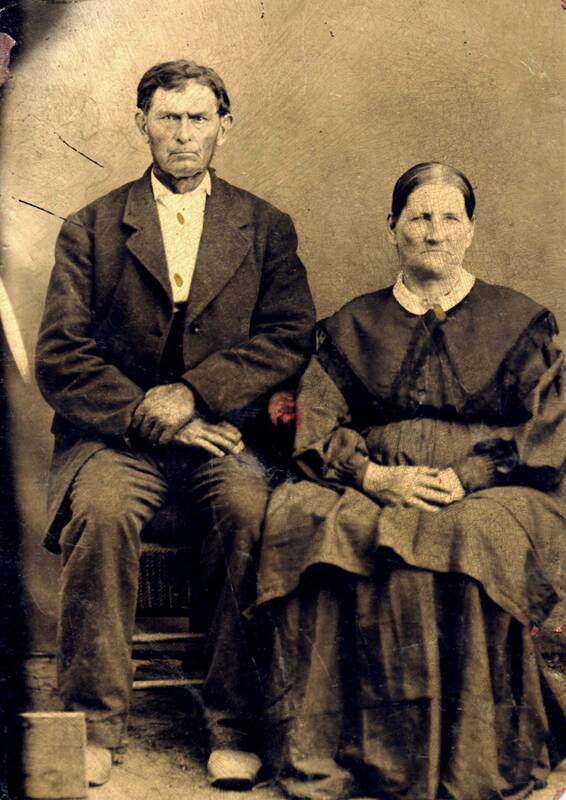 Isaac Hampton Waid and Anny Cornelius Waid, abt 1860. Father of Harvey Cornelius Waid and Grandfather of Sarah Catherine Waid, wife of Lonnie Q Wiggins. Isaac H Waid is the grandson of Calvin Waid, Revolutionary Soldier, as designated in Calvin's Waid's final pension payment documentation. Anny C Waid is the granddaughter of William Cornelius, Revolutionary Soldier. Her father was William "Billy" Cornelius Jr.
Rozeana (Annie) Waid and sister Sarah C Waid, daughters of Harvey C Waid. 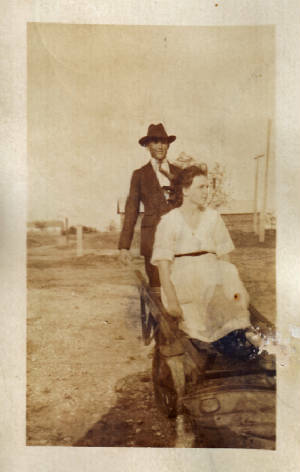 After the early death of Lonnie Q Wiggins in 1910, Sarah C Waid Wiggins traveled to Texas to join others of the Waid family. In 1911, they were joined by Harvey C Waid. 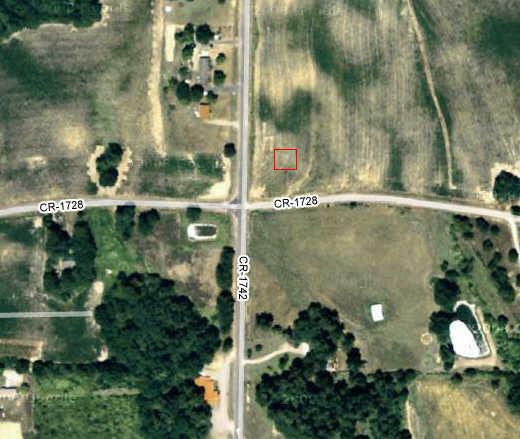 Between 1910 and about 1925, they lived at various times in Greenville, Kirvin, Bardwell, and Ennis, Texas, with most of that time in Bardwell. They resided with/or near her brother, Winston A Waid and Manila A Alldredge Waid in Bardwell, during the largest part of this time. Harvey C Waid died in Bardwell on January 24, 1915, and was buried in the Antioch Primitive Babtist Church cemetery, in Liberty, county of Bloutsville, AL. He was buried next to his wife Edith Catherine Reid Waid. 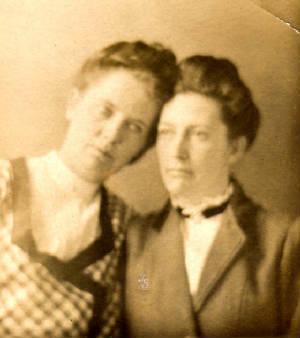 Also buried next to H C Waid is Frances Wisenhunt Reid, Edith's mother. Herman and Harvey Wiggins, Sarah's sons attended high school in Bardwell, with Harvey W Wiggins graduating Valedictorian in 1924. Younger daughter Amy also attended school in Bardwell. Also, graduating in 1924 was Gertrude Roach, Herman's future bride and life long wife. Physician Harvey Leander Waid b 1877 and a brother to Sarah and Winston, also lived in the area and attended their father during his final illness and death. He eventually returned to Alabama. 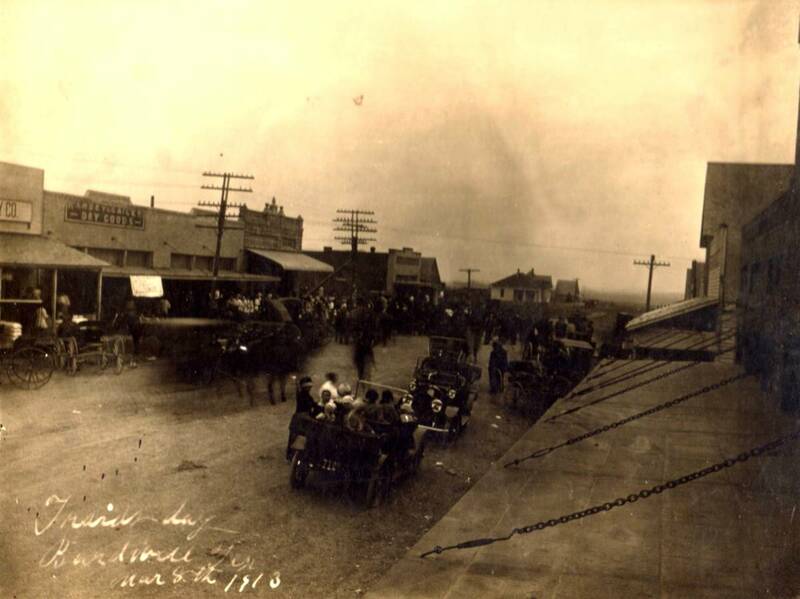 The photo above is of the Main St in Bardwell, taken in 1913.